The soul of Carlos Serres wines is in our vineyard: Finca El Estanque. Covering 60 hectares in south-eastern Haro, it became a true landmark when espalier training was implemented in the early 1980s. The training system increased leaf surface exposure, thereby enabling better ripening in all grape varieties and improved cluster aeration. This allows for more environmentally-friendly growing practices and fewer treatments. 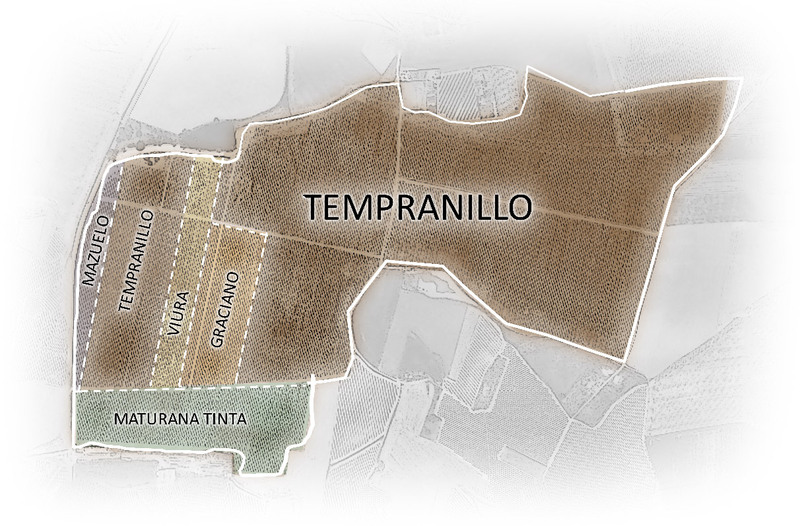 It has mostly chalky-clay soils with a high gravel content, perfect for growing Tempranillo, Graciano, Mazuelo, Maturana Tinta and Viura, which are used to make our Reservas, Gran Reservas and our limited production Onomástica. Type of soil: Clay-limestone and gravel. The personality of our wines is owed to the land where our vines are grown. In addition to the production of our vineyard, our winery maintains agreements with Carlos Serres on a select group of vineyards in Haro which provide the grapes for our range of young wines.